A flash memory card or SD camera card works very much like a normal hard drive and similar data recovery procedures are used in recovering lost pictures. 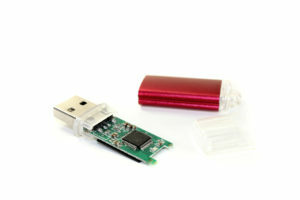 We recover flash memory cards, memory sticks or SD cards we recover data from all manufacturers. We can recover data from deleted, corrupted, damaged, and even formatted flash memory cards and digital camera media like SD picture cards, compact flash cards, XD picture cards, and memory sticks and hi-speed USB flash hard drives. Typical media file types include .jpg, .gif, .bmp, .tif, .png, .raw, .pcx, or .png. Contact Data Recovery Cincinnati LLC for flash drive recovery service. There are times when we may use a public computer. This is a system, which we should avoid for permanent data storage. However, if you want to work on a particular file on that system to save time, what options do you have other than using a thumb drive for emergency information storage. These USB drives are perfect for use in all situations, as you can always keep them in your wallet for easy access. This means that if your USB drive malfunctions due to some reason, it is important to recover thumb drive data, to always ensure that you can once again have the latest version of your emergency information available. Contacting an experienced flash drive recovery service will allow you to ensure that data can be extracted from your thumb drives, especially if they face damage due to an accident. Your flash drive can also be used for independently browsing the internet on any computer. Your browser and all the related settings are secured on your thumb drive for this function. You should always recover thumb drive data, if you use it to directly operate various programs. In fact, you can save the entire operating system with its customized settings on your USB drive, allowing you to always enjoy your personalized PC anywhere in the world. Your thumb drives can now become an enhancement of your own personality. You can use your personal flavor in all the applications you like. Whether you are at home, at the office or at a public place, you can always enjoy the same experience, without ever worrying about leaving important setting files in an alien computer. We already mentioned that you can install your operating system on your thumb drive. This makes your flash drive an ideal tool for troubleshooting any computer system, by storing the required tools on it on a secure and properly working computer. If you have a such a USB drive, it is important to recover thumb drive data to ensure that it will continue to function as an important troubleshooting weapon in your arsenal. Another advantage of using a thumb drive is to experiment with different operating systems. You can install them on your flash drive and then use them to research, especially if you are contemplating an operating system switch for your business. You may find that it is important to recover thumb drive data, if you are preparing logs and documents that will help you in deciding a winning operating system. We recommend contacting Data Recovery Cincinnati for all your FLASH DRIVE DATA RECOVERY COMPANY needs. Our experts are skilled and it is a routine duty for them to save your precious USB drive data! 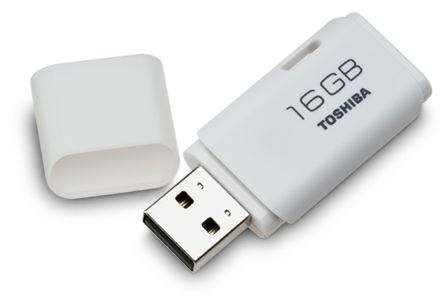 The easy-to-use USB drives are also termed as thumb drives. They are portable, swift and offer memory on the go. Although you should always consider creating a well-defined data backup, there are certain situations where you need instant access to a storage medium. However, never use for permanent storage, NAND chips become defective over time, if this happens contact us for flash drive recover service.